Home Auto Tips & Guides What Is Vehicle Value Depreciation? People like to buy brand new cars because they are shiny and trustworthy and they smell great. New cars will last longer than used cars, and they will often attract more attention. If you are in the market for a new car, you should pause and think before buying the newest model. You should know about the serious problem of vehicle value depreciation and why buying a used car might be a wiser use of your money. Suppose you buy a new car for approximately thirty thousand dollars. According to some expert auto marketers, brand new vehicles lose eleven percent of their value the moment they are driven off the dealership lot. Unfortunately, brand new cars experience value depreciation incredibly quickly. Value depreciation is the gradual (or rapid, in the case of brand new cars) decrease in value after the event of a purchase. So if you pay thirty thousand dollars for a new car and drive it off the dealership lot five minutes later, you have lost around three thousand dollars in just five minutes. So what determines vehicle value depreciation, anyway? Well, it all has to do with who would be willing to buy your brand new car back from you the moment it is driven off the lot, or after three years, or after five years. A private buyer will offer approximately eleven percent less for a brand new car, even after it’s only been owned for five minutes. Dealerships looking to buy barely-used cars need to make a profit, which is why they always buy their used cars for less, so they can mark up the prices and sell them again. There are still several benefits associated with buying new cars, such as better warranty coverage, a sense of pride owning a brand new car, and new tech features that aren’t available on older models. But with the pros of a new car also come the cons, and the biggest con associated with buying a new car is the dramatic loss of value immediately after purchasing it. 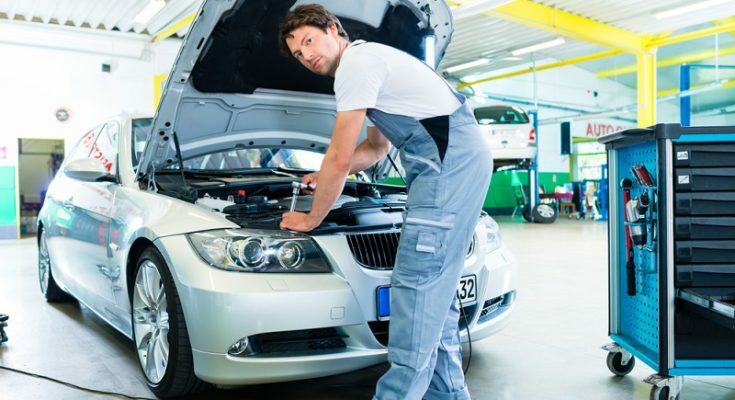 Vehicle depreciation occurs much more slowly as the car gets older, so the biggest loss of money typically occurs within the first five years of ownership. After five years, the vehicle will have depreciated in value dramatically. Beyond five years, however, the depreciation slows down and the buyer can save a lot of money purchasing the car at this time. When thinking about buying a new car, it might be wiser to consider looking for used cars for sale in Canberra. Used cars are not only much cheaper than new cars, but they also depreciate much less quickly, making them a smarter investment on the buyer’s end of the bargain. When you purchase your used car through a certified pre-owned dealership, you will likely have the option to sign up for a warranty that protects the vehicle for a certain amount of time, so that you can still get the same benefits you would get with a new car, without losing money because of vehicle value depreciation.